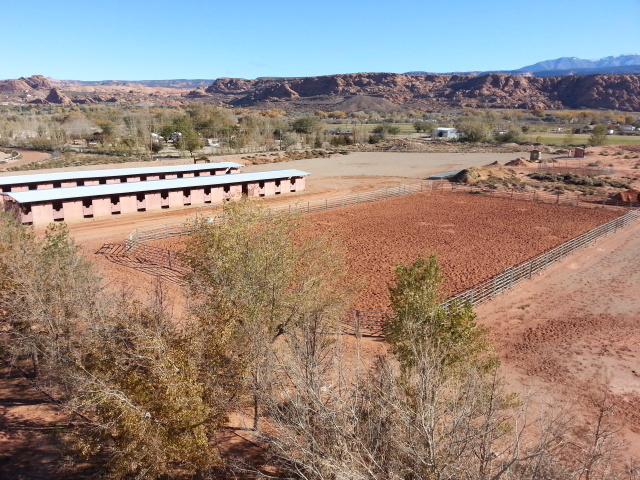 The Old Spanish Trail Arena is located just minutes south of Moab, Utah on Highway 191. Moab area sights and activities will make your stay a fantastic experience. We would love to host your equestrian / non equestrian events. 1: Please pick up after your horse. 2: If you use any arena equipment-please put it back where it belongs. 3: No grooming or watering(except at hitching post), and NO feeding of horses in any arena. 4: Please do not open the roll up door to its full extent or leave it open for extended periods. Leave door down 4' from above block work when raising the door. 5: The lobby doors will most likely be locked, so if you need to use bathrooms, go to the lower bathrooms through the hallway and unlock internal door- please lock it when finished. 6: Please place any rubbish in trash cans provided. 7: Children must be supervised by an adult AT ALL TIMES and not left to roam around. 8: Please lock up the arena after use, including the inside passage door to lower bathrooms and turn off any lights used. ALL LOCALS NEED TO CALL IN TO GET ACCESS CODE FOR INDOOR ARENA. Both arenas can be used for equestrian or non equestrian events. Do you provide shavings for the stalls? My horse appears to be sick, do you have a veterinarian close by? 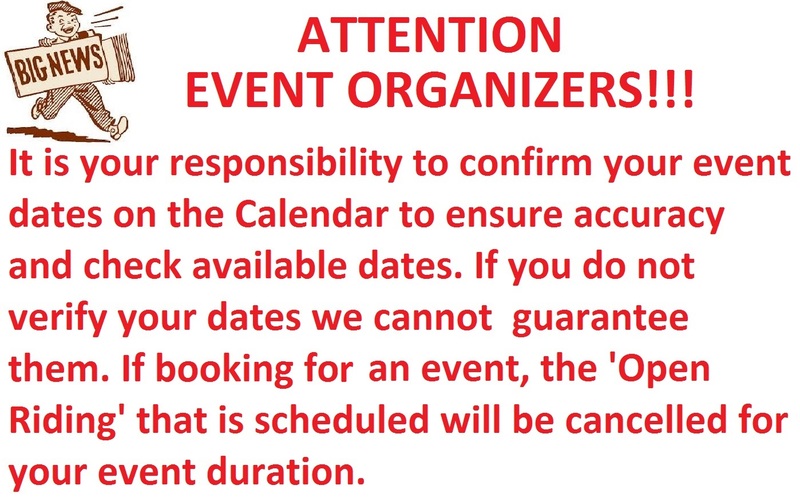 I want to have an event but the calendar shows Open Riding? Can I still have my event? If I come in late, can I still get a stall or pen for my horses? Do you supply feed for my horse(s)? Can I hook up to electric with my trailer if I am staying overnight? I have been traveling for a long time, can I let my horses out to run for a couple hours? My truck broke down, can I use a pen or stall while I get it fixed? Stall bookings are essential as most stalls are locked.